Take your place in history and become part of the fabric of Ibrox, forever. Some memories are written in history…. Now yours can be etched in stone. 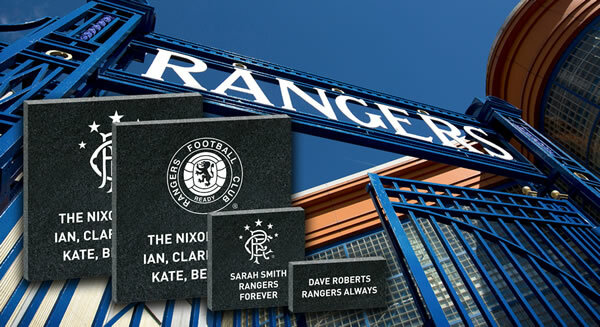 Be part of the fabric of Ibrox, forever, by purchasing your very own personalised engraved granite stone in a dedicated area of the Broomloan Road stand. Ibrox Forever will be a celebration of some of the most iconic games in our history. Supporters will vote for their favourite games and tell their own personal stories about each game. Matches with the most votes will be immortalised via a central stone / bench detailing the games and some fan memories. The Granite stones will be laid in sections surrounding the tribute to each iconic game from our history. Be part of it. Tell your own Ibrox story, share your memories or make a family dedication.